As the days creep ever closer to the 9th of August, we begin to go through the same pre-celebration routine that we always see. Red and white flags plaster HDB flats, large billboards of men and women in white smile from along the roads, and the hotels around the CBD fill up as people try to catch a free glimpse of fireworks. We stand on the eve of our 49th anniversary of Singapore’s independence, and while Singapore is still going strong nearly 50 years on, I play devil’s advocate and propose that Singapore has certain deficiencies in terms of being a nation and country. Before you declaim me as an anti-patriotic ingrate who can’t appreciate our country, please hear me out. Nation building is no easy task, and it is one with which our government has pulled off with almost unbelievable success. A small island with no natural resources and nothing more than a good location, Singapore is truly a thriving, living economic miracle, and a lauded beacon of globalisation and efficiency. 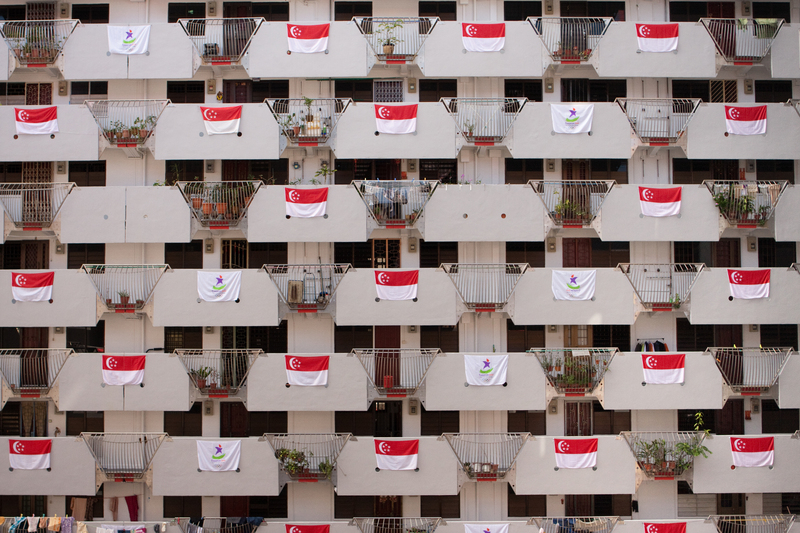 However, while Singapore has many things worth admiring, having national pride is a whole different ball game. One of the things that make Singapore unique is its pluralism and its tolerance of multiple races and cultures. However, uniting all these cultures under a cosmopolitan banner potentially results in a divorce of culture from society. Despite what is touted in tourism banners around the country, not very much is actually uniquely Singapore: you go to China to see Chinese culture, you go to India to see Indian culture; Singapore is a hodgepodge of second or third generation immigrants who flocked to Singapore during its beginnings as a British port, which makes the current furore over immigrants somewhat of an irony; even our national dish is called Hainanese chicken rice. While most countries have a nationally dominant culture and language, Singapore instead chooses to not just sit on the fence, but as a certain economics teacher puts it, hovers gently above it. Promoting a national culture is one thing, but having a culture of multiculturalism could dilute the individual practices – take for example the Speak Mandarin campaign, created by the government as a lingua franca amongst Chinese in Singapore. While highly successful, this has also led to a sharp decline in the amount of dialect speakers in Singapore, leading to a sharp disconnect between our grandparents’ generation and ours. Furthermore, the wheels of change in Singapore are ever turning; despite vehement protests and petitions, pieces of Singapore such as Bukit Brown are slowly being eaten up by modernisation. Can our national culture then be something to rally a nation behind? Even in comparison with other countries, our national history seems to fall flat. As a H2 history student, Southeast Asian history introduced us to fiery nationalists and freedom fighters who led their country in uprisings and in vehement protests against the colonial governments. In contrast, we have the relatively placid movements in Singapore and Malaya, who were escorted into independence by the British. The fact remains that Singapore was an accident that wasn’t supposed to happen; instead of protests and cries of independence in a national uprising of Singaporeans, our island state was unceremoniously booted out of Malaysia because of racial tensions and economic disagreements. In a circumstance almost unique among many nations of today, Singapore was not born out of wars and kingdoms, rebellions and revolutions, but instead out of treaties and trade. And the historical origins of a country are important: they serve as an anchor point for a nation and its inhabitants, rallying them by virtue of our shared history and struggle. While we cannot ignore the amazing progress that Singapore has made economically, its path to nationhood and its beginnings were simple and not much to boast about. But don’t just trash your clapper and tiny flag and give up on Singapore just yet. While these things are important to the development of a country and for forging a national identity, they are secondary to a the essence of a nation itself – its people. A nation, rather than a social unit with face to face interaction, is actually an imagined community, as termed by Benedict Anderson. The creation of a nation, therefore, hinges upon individuals associating themselves with this community, and perceiving themselves as part of it and sharing the same wider interests. Take for example the creation of Israel. Since the exiles and sieges that destroyed ancient Israel, the Jewish diaspora had scattered itself across the world in little pockets and communities. By the 1900s, their homeland had long been inhabited by other races, with their sole claim being that they lived in this physical location almost 2000 years back. Despite this fact, this imagined sense of belonging and their combined beliefs of their right to possession has created the Jewish state of Israel more than any charter or army, and this is what fuels the Arab-Israeli conflict right until today. Building a nation is not impossible without a unique culture and history to put your aspirations in, they are however difficulties that we should try and counter. And so we come again full circle to the 9th day of the 8th month. Being proud of your country and your nation doesn’t need to stem from the glorious conquests of our forefathers, or even the great or numerous accolades that our country receives. This national day, start out small. Whether it be our crazy acronyms, or our public transport, or even the coffee shops that dot every corner, try counting the things which you appreciate or love about Singapore. I can give you at least 49 of them, and here’s wishing for many more for a long while more. Happy birthday, Singapore.